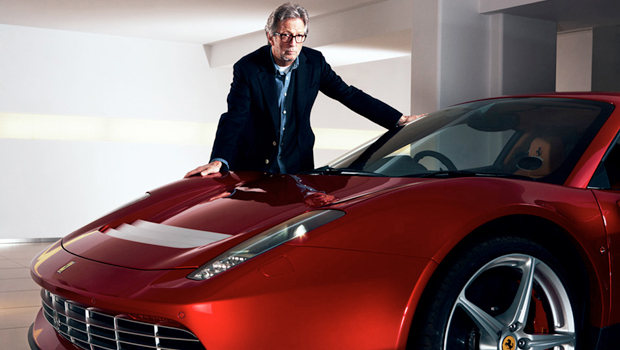 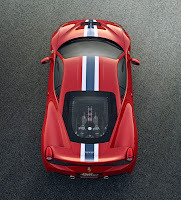 Pending the submission which will take place at the International Motor Show in Frankfurt, 2013 (September 12 to 22), the House of Maranello has disclosed the first insights into his new creation: the Ferrari 458 Special. 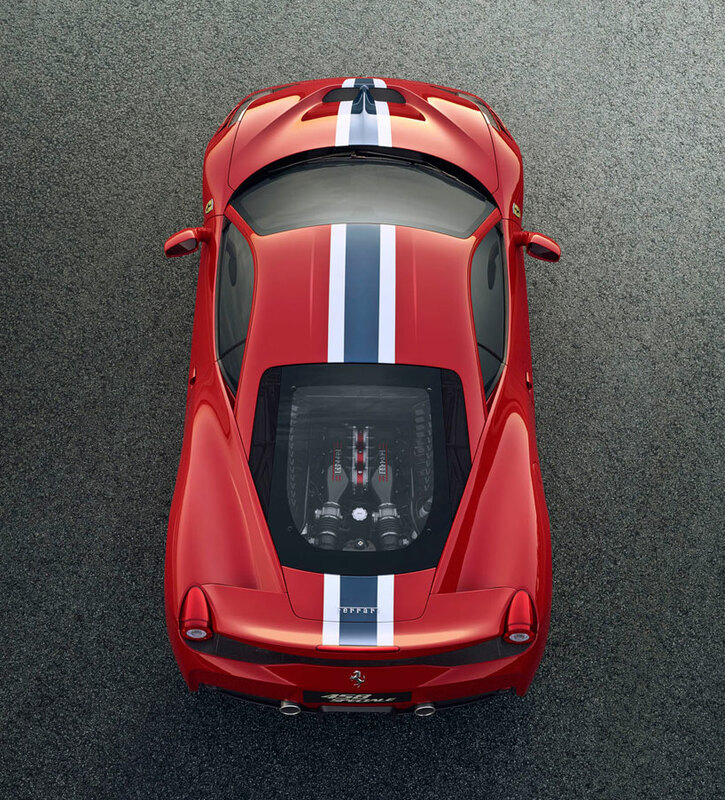 The new born of Ferrari comes from the continuing desire of innovation and technological research that has produced results that make "Special" an exceptional car like the 458 Italy, creating a new concept of sports, essential and without compromise. The 458 Special was designed with the aim of improving the performance and driving pleasure at the highest level, through the application of a series of solutions, such as active aerodynamics, destined to become the standard for Ferrari cars the near future. The design reflects the work of the Style Centre, in collaboration with Pininfarina, has outlined the forms so that they were functional and performance oriented: hence the application of mobile appendages to balance the front and rear downforce and reduce resistance, which makes the 458 the Special aerodynamically efficient series-production car in the brand's history. Among the most advanced solutions to mention the electronic control trim angle (angle Side Slip Control - SSC), which analyzes the structure of the car and optimizes the management of engine torque through the traction control and the allocation of the differential pair on drive wheels through the electronic differential. 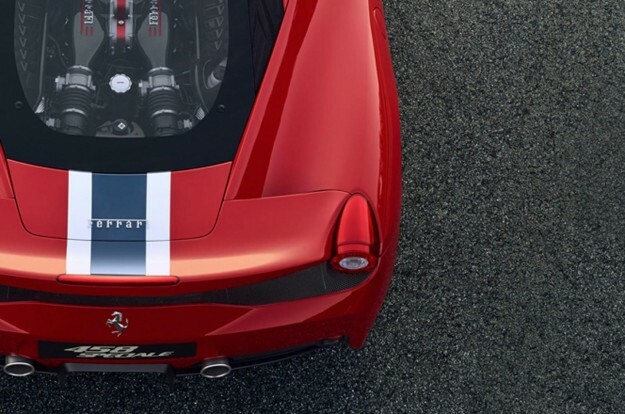 Great attention was also paid to engine despite these for 2 consecutive years has dominated the International Engine of the Year Award for Best Performance Engine: now is the most powerful naturally aspirated V8 Ferrari ever with a power of 605 horses. 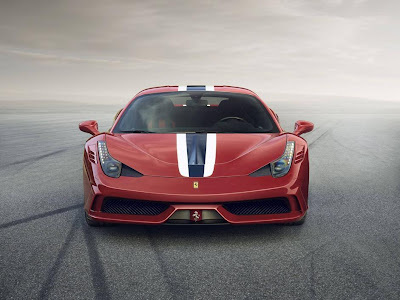 The performance of the Ferrari 458 Special thanks to the weight / power ratio, (maximum torque 540 Nm at 6000 rpm and a dry weight of 1290 kg) are marking an acceleration from 0 to 100 km / h in 3.0 seconds (0 - 200 km / h in 9.1), with a lap time at the Fiorano track of 1'23 "5. 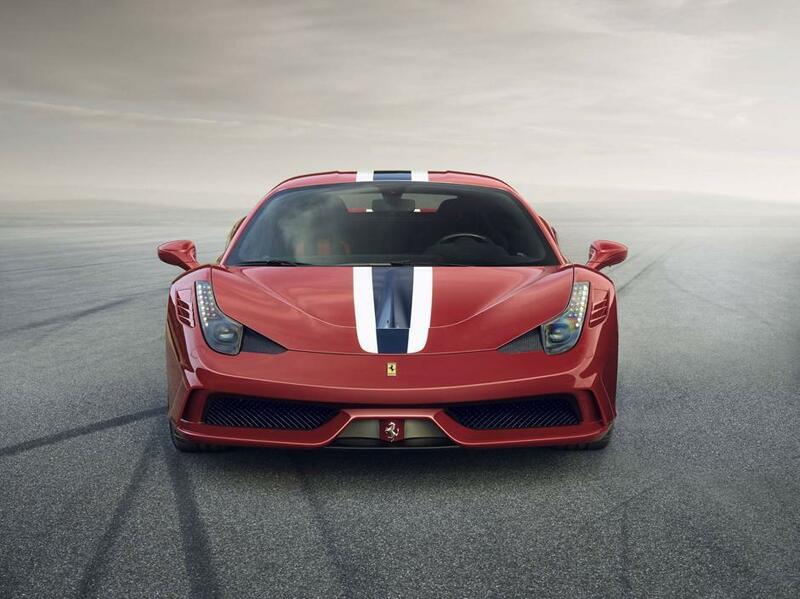 This result is also the result of the development of the car with tires Michelin Pilot Sport Cup2, specifically developed with a series of tests and simulations that would make the 458 Special Ferrari range with higher lateral acceleration (1.33 g) ever. 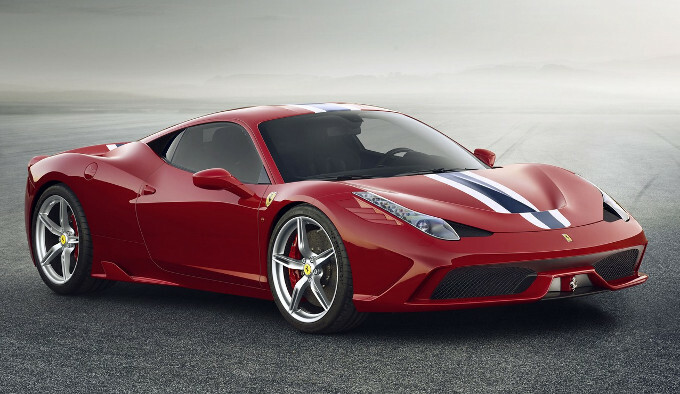 The Ferrari 458 Special will have its world premiere at the general public at the Frankfurt Motor Show, during which will be revealed further technical details and the price of the car.